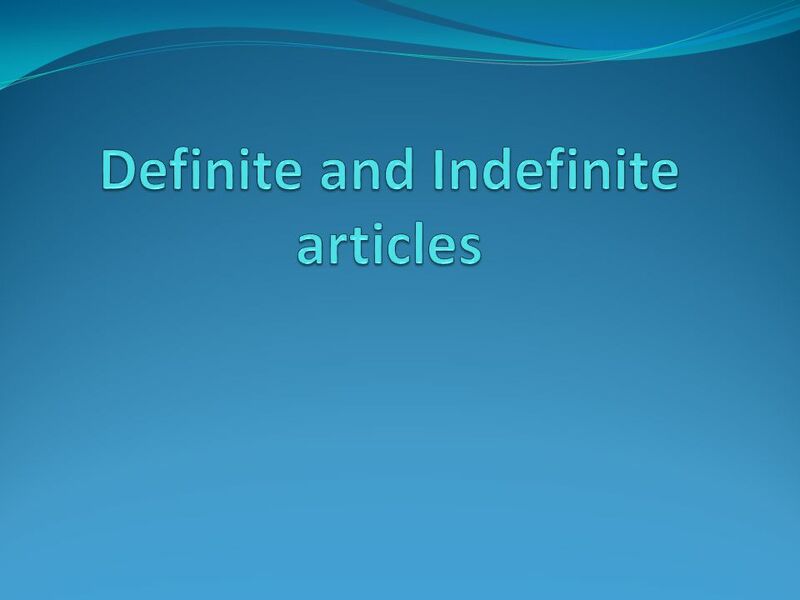 3 indefinite articles What are indefinite articles? 4 When don’t you use articles? You never use articles when describing someone’s occupation. For example: Ella es doctora. Él es maestro. El chico es estudiante. (As you can see we did not use el, la, un, una). 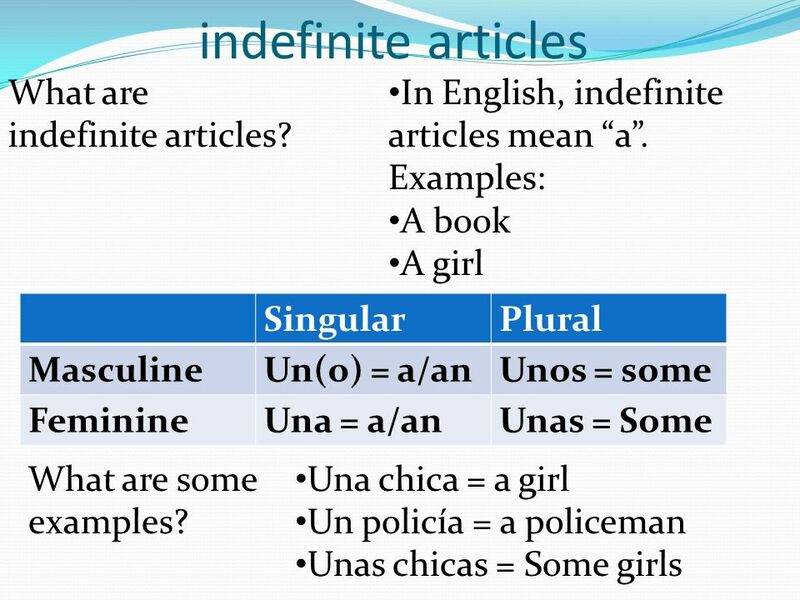 Download ppt "Definite and Indefinite articles"
1 Definite and Indefinite Articles 2 The indefinite article: A, an, some: un / una / unos / unas The indefinite article is typically used in Spanish.  Estar is an –ar verb  It means “to be”  When it is conjugated, it means is, am, or are. 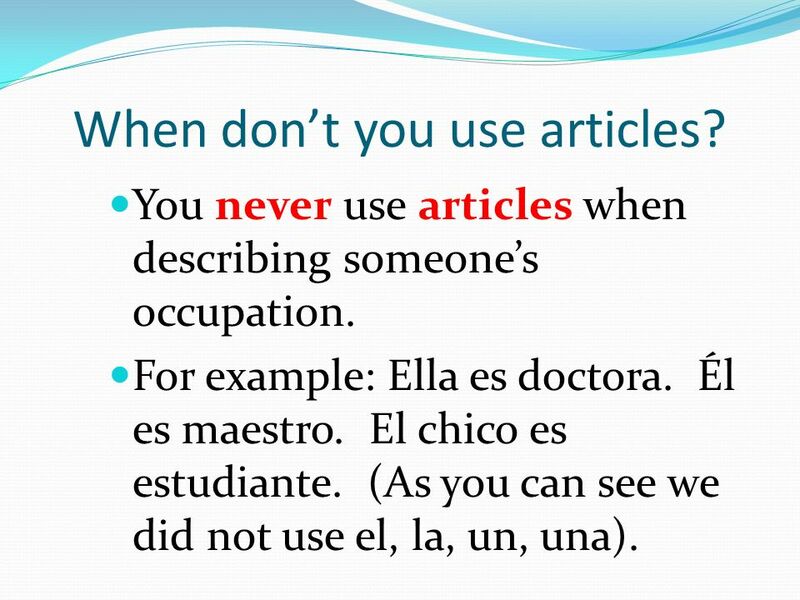 + Definite & Indefinite Articles. 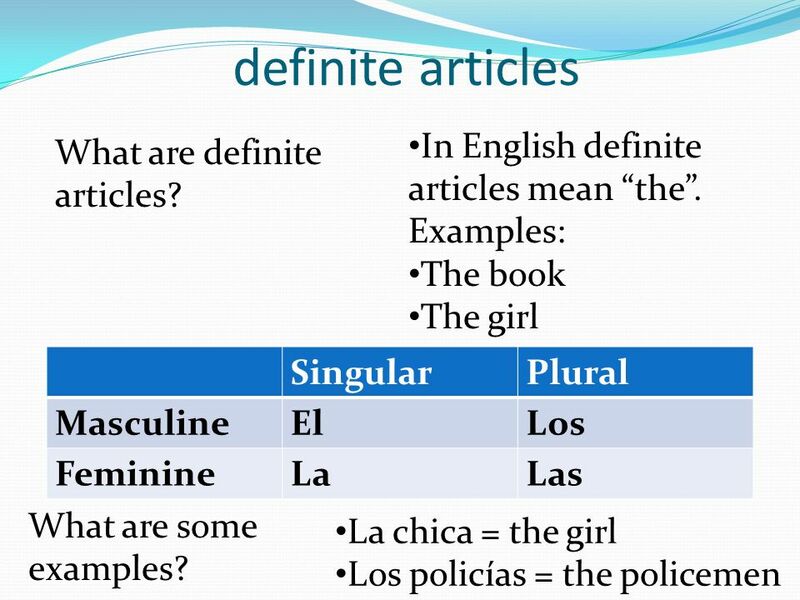 + Definite Articles: THE NounsSingularPlural Masculineellos Femininelalas. Noun-Adjective Agreement Nouns are ALL-POWERFUL!!!!! WARM UP  Describe the following people. Use complete sentences: 1. Shakira 2. Kobe Bryant 3. Chris Rock 4. Barack Obama 5. Garfield. Unidad 1Leccion 2 Definite vs. Indefinite Articles.